Card Rules: Rulings powered by The Netrep API. 'Dark Paladin' cannot be Special Summoned, EXCEPT by Fusion Summon. So you cannot Special Summon 'Dark Paladin' using 'Monster Reborn', etc., even if he was properly Summoned before. 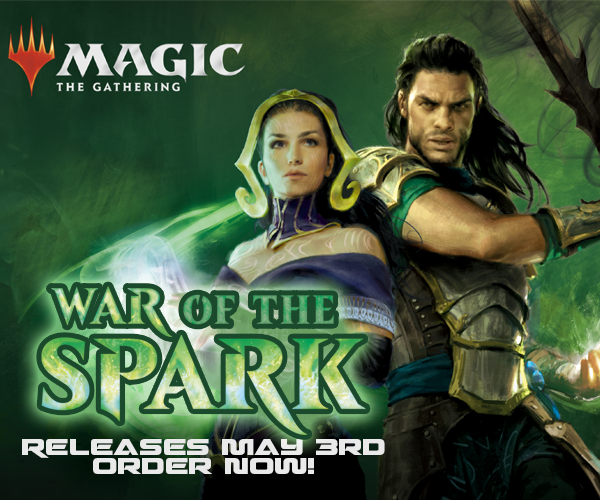 You cannot Special Summon 'Dark Paladin' using 'Magical Scientist', etc. You can use 'substitute' Fusion Material Monsters such as 'Goddess With the Third Eye', etc. to Fusion Summon 'Dark Paladin'. 'Dark Paladin''s Spell-negating effect is a Quick Effect, so it can be activated during your opponent's turn. You can activate 'Dark Paladin''s Spell-negating effect multiple times in the same chain. 'Dark Paladin''s Spell-negating effect can be chained to. If you activate 'Dark Paladin''s Spell-negating effect, and your opponent chains 'Ring of Destruction' to destroy 'Dark Paladin', the Spell Card is still negated even though 'Dark Paladin' is destroyed. If you activate 'Dark Paladin''s Spell-negating effect, and your opponent chains 'Book of Moon' to flip 'Dark Paladin' face-down, the Spell Card is still negated even though 'Dark Paladin' is face-down. 'Dark Paladin''s +500 ATK effect is a Continuous Effect. While 'Skill Drain' is active, the effects of 'Dark Paladin' are negated. [Re: Skill Drain] 'Skill Drain' negates Quick Effects such as 'Dark Paladin' and 'Ryu Senshi'. [Re: The Dark - Hex-Sealed Fusion] This monster's second effect cannot be used to Special Summon Fusion Monsters that can only be Summoned by Fusion Summon, such as 'Dark Paladin'. [Re: The Earth - Hex-Sealed Fusion] This monster's second effect cannot be used to Special Summon Fusion Monsters that can only be Summoned by Fusion Summon, such as 'Dark Paladin'. [Re: The Light - Hex-Sealed Fusion] This monster's second effect cannot be used to Special Summon Fusion Monsters that can only be Summoned by Fusion Summon, such as 'Dark Paladin'. [Re: Wave-Motion Cannon] Your opponent cannot chain 'Magic Jammer', or use 'Dark Paladin', etc., when you send 'Wave-Motion Cannon' from the field to the Graveyard. Your opponent CAN chain 'Magic Jammer' or use 'Dark Paladin', etc., when you first activate 'Wave-Motion Cannon' (meaning when you place it face-up on the field). 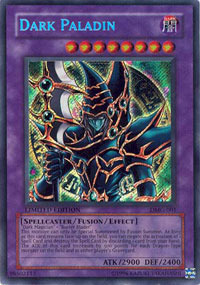 Card Text: 'Dark Magician' + 'Buster Blader' This monster cannot be Special Summoned except by Fusion Summon. As long as this card remains face-up on the field, you can discard 1 card from your hand to negate the activation of a Spell Card and destroy it. Increase the ATK of this card by 500 points for each Dragon-Type monster on the field and in either player's Graveyard.